1.Synthesized with high purity acid-washed quartz stone(93%), high polymer material (7%) and a small amount of inorganic pigment. 2. Pressed under vacuum condition and high pressure. 3. Processes fully automatic 36-unit to fix thickness,grind and polish. 4. 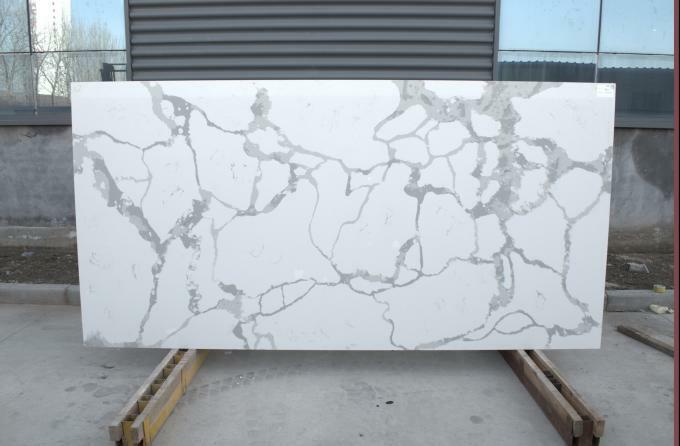 93% quartz stone make powerstone quartz stone be high hardness (7 grade), excellent smooth and bright surface. 5. Non-porous surface make sure its incomparable characteristic of high resistance to abrasion, compression, scratch, heat, corrosion and penetration etc. white, black, red, pink, beige, blue,coffee, grey, green, orange,brown etc. A. Surface Finish: Polished, Honed, Antique, Abrasive Blasting. B. Edge Finish: Flat, Easted, Stright, Bevel,Bullnose, Full Bullnose, Ogee. Product Application Countertops, kitchen tops, bathroom vanity top,worktops, laundry,table tops,bench top, island tops, bar tops, backsplashes, shower stalls, tub surrounds ,wall tile, wall cladding, floor tile, and airport, station, shopping mall, hotel, bank, hospital.